Want to spend one month at Berlin Glas AND at North Lands Creative? Berlin Glas e.V. & North Lands Creative are excited to announce a joint-artist in residency in 2019! Artists and designers working with glass have an opportunity to spend eight weeks between two extraordinary studios! Beginning in Berlin, a city well-known for its art and design scene, and subsequently in the uncomparable Scottish Highlands, where artists draw inspiration from place and the stunning landscape. The contrast between these two locations and facilities gives artists a unique opportunity to develop their practice and understand how different environments influence their work in different ways. Each residency includes a travel and materials stipend, and opportunities for public talks and a pop-up exhibition in Berlin. *Art or Design-led Studio Glass : opportunities to artists and/or designers for whom a change of scenery may inspire fresh ideas with a view to realising a new body of work or prototype for production. 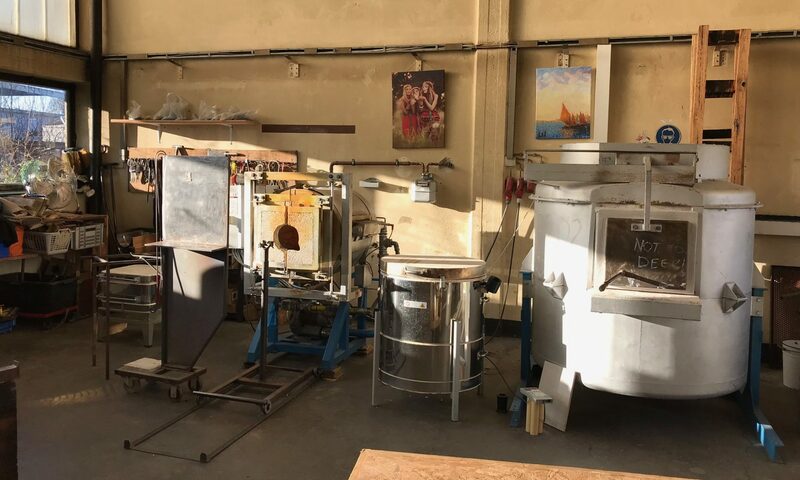 *Sustainable Studio Glass : opportunities to artists and/or designers that encourages the development and greater utilisation of eco-design and manufacture principles in glass making. The residencies have potential to be developed in consultation with Creative Carbon groups and Zero Waste initiatives.